Blackbird Poetry Festival evening event. Coffeehouse-style reading with music. Tickets at the door or online at http://www.brownpapertickets.com/event/353577. 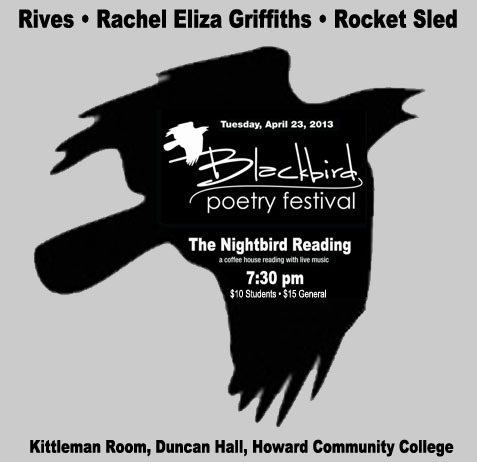 This entry was posted in Event, Poetry and tagged Blackbird Poetry Festival, HCC, HoCoPoLitSo, Howard Community College, Nightbird, Rachel Eliza Griffiths, Rives, TED. Bookmark the permalink.